"Want to be inspired? Read this book or give it as a gift to someone you know who is planning to start their nursing career." In Caring Lessons, Lois Roelofs tells her stories about being a rebellious minister’s daughter, reluctant nurse, restless mom, perpetual student, and eventually, fun-loving teacher. She used to tell her students that if she, an ordinary suburban sandbox mom, propelled by restlessness and prayer, could end up having a career, growing in faith, and getting a PhD, they could too. Roelofs brings the “therapeutic use of self” required in nursing to her writing. You will be amused, saddened, and inspired as you read this intimate and introspective memoir. You may even run to enroll or teach in a nursing program, and, if you’re already teaching nursing students, you may discover renewed gratitude for the privilege. 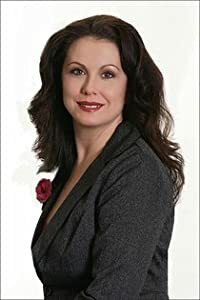 My Thoughts: This beautifully written and touching memoir details Lois’s long journey through nursing school, becoming a wife, mother and eventually a fun-loving teacher. Lois is now a Professor Emerita of Nursing at Trinity Christian College in Chicago. Getting to where she is today wasn’t easy by any stretch of the imagination. In Caring Lessons Lois does an amazing job detailing her one on one experiences with patients, teachers and the important people in her life. Lois never lost touch with her faith and it was her faith that help get her through the hard times. It’s not often easy to juggle a career, family and being a wife, Lois made that very clear in her book but it is possible. Want to be inspired??? Read this book or give it as a gift to someone you know who is planning to start their nursing career. I plan to give this book to my mom to read now that I am done with it. I know she will appreciate reading Caring Lessons as she is a nurse too. I helped my mom go through nursing school, and all while raising three children on her own. I took on the role of parent while she dove head-first into her schooling. I really admire all women in the nursing field and I have a lot of appreciation for just how difficult it can be. Check out other great book reviews at Tell Us The Truth Reviews. I received a copy of this book for free to review. I was not monetarily compensated in any way. The opinions expressed are my own and based on my experience with this book. "After reading this book, I am in awe of the work that this couple has done to better the lives of others"
"The kind of inspiration that is relevant to us all: how to find God's grace as we stumble through this life"
As most of you know, I love to get free things. 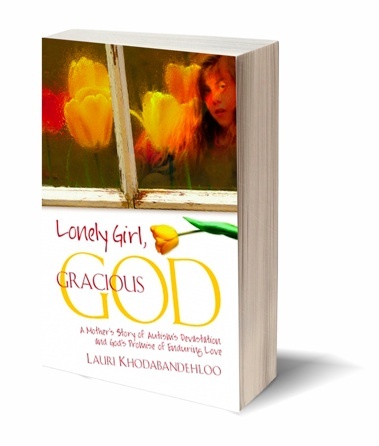 :) A few weeks ago, I was offered Lonely Girl, Gracious God by Lauri Khodabandehloo to review. Though I was reluctant to start reading another book this summer... the crooked cover kept beckoning me to open it up. ((The old adage: Don't judge a book by it's cover kept coming to mind.)) Finally, I opened it up! Immediately, Lauri's honesty cut to my core. I couldn't put it down! Every feeling is shared. Every thought captured. She has opened up her heart and revealed the innards of a mother who struggled to find God's promise. This book is an inspiration. Not all in it turns out as sunshine and rainbows kind of inspiration, but the kind of inspiration that is relevant to us all: how to find God's grace as we stumble through this life. 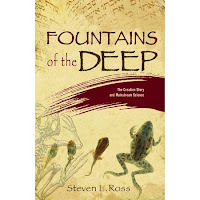 I can wholeheartedly recommend this book to anyone who wants a look into a beautiful example of God's unending grace. 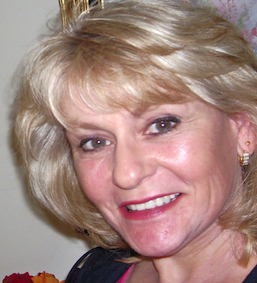 About the Author: After raising three children on her own, Lauri found that God heard her prayers, and He answered them in His timing and in His way with the birth of Lauri’s fourth child Farema. Before Farema, Lauri didn’t really understand that there were disabled people. But today, Lauri lives a life full of compassion for other people. Today, she ‘sees’ people she never saw before...she sees the hurting people on the streets, or the drug addict, she sees those who need help. She now is keenly aware of people with disabilities, autism, and the developmentally challenged, and she has a deep desire to help those that are just learning for themselves that their child has a disability. In Lonely Girl Gracious God, Lauri tells how she came to fully trust God in ALL things, and how her life was changed because of God’s gift of patience given to her, wrapped as a beautiful daughter named Farema. 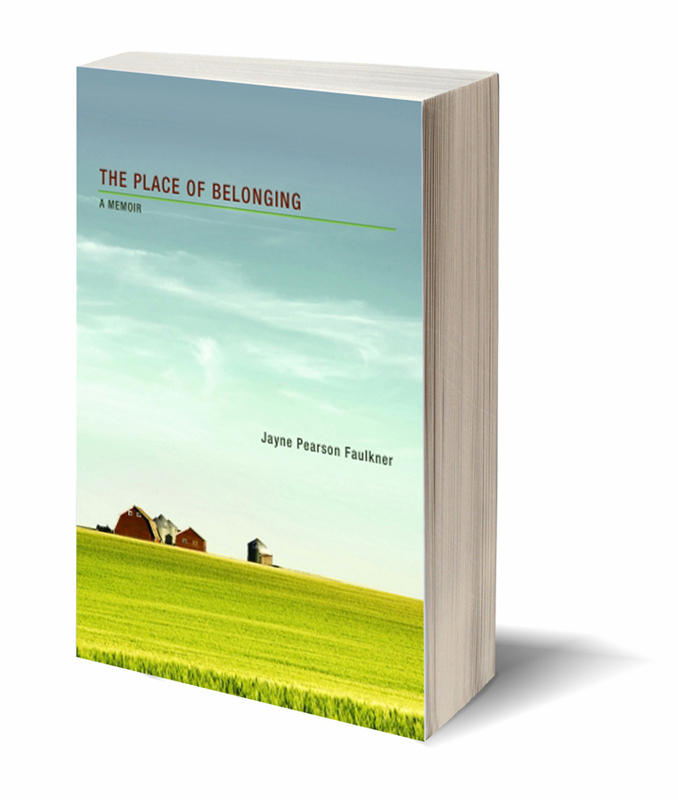 About the book: It didn’t take long to learn that Farema was not like the other girls. And, later, in finding her daughter was autistic, Lauri found she had no other choice but to be patient. Without her newfound patience given to her by God, Lauri would not have been able to win the battle. You see, you can not win a battle with a child with autism-they cannot deviate-they do not know anything different. I received a free review copy of "Lonely Girl, Gracious God" in exchange for my honest review. "Maximal Reserve has all the ingredients: conspiracy, drama, suspense, crooked politicians, and even a little romance." If you enjoy books with a christian base then you are sure to enjoy Maximal Reserve. 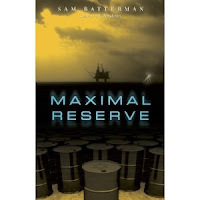 I was given the chance to review the book Maximal Reserve by Bring It On! Communications. I do enjoy fiction and thrillers so I was happy to have the chance to read and review this book. The story is about Philip Channing, a brilliant geophysicist/computer science guy. Philip is hired by Axcess Energy Company to work on a top secrete project. The story takes Philip over the Atlantic in a helicopter hopping from oil rig to oil rig and finally landing on a research ship in the Atlantic ocean. This is where Philip will look deep into the oceans depths farther than most have ever seen. The story takes its reader on a wild ride of espionage and terrorism. My View: Maximal Reserve has all the ingredients of a great fictional book conspiracy, drama, suspense, death, crooked politicians, and even a little romance. I like to see the character in a story portrayed with average human abilities. Now, what I mean by this is the character should be human like and not be able to leap over tall buildings, read minds or have x-ray vision. Although Philip is portrayed as having a brilliant mind his character was believable. He had to fight like any real person might have to under such circumstances. I would recommend this book to my friends to read with a warning that the book has many technical details and explanations that might be a little distracting to some readers. Over all I give the Writer a 10 out of 10 for such a great story. "I...found a lot of practical ways to help turn my insecurities into a wonderful new life that I can live for God." I'm a book reviewer for Bring It On Communications, and the latest book I was sent to review was, Sand to Pearls, written by Heidi McLaughlin. Heidi is a teacher, mentor, and a great inspiration to women. The book was published by Deep River Books in 2011. Sand to Pearls is a great book about "making bold choices to enrich your life." It's about how our insecurities can hold us back from the wonderful future that God has planned for us. The book has 13 Chapters and each chapter covers a different topic that women often get stuck in. These topics are obligations, sabotaging ourselves, friendships, resentment, blended families, buyer's remorse, comparing ourselves to others, fears, regrets, shame, panic, and careers. The author shares personal stories and examples in each chapter and how to move past the area you're stuck in. She also quotes from other books, which give wonderful encouraging, inspiring words to help you move forward in your life. Every chapter has a section about how to make choices that enrich your life that are very practical and helpful. Also, every chapter ends with a section entitled, "Stop and Ask God To Help You Change Sand to Pearls." Each "s" is a scripture, "t" is thanksgiving, "o" is observation, and "p" is prayer. 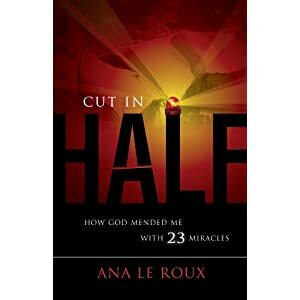 I really enjoyed this book and found a lot of practical ways to help turn my insecurities into a wonderful new life that I can live for God. One of my favorite things I learned was in Chapter 6 " Broken or Blended." Although, I've been married to my one and only husband for 16 years, I still found something great in this chapter. It talks about how your husband can't meet all of your emotional and spiritual needs, that God is the one to look to in order to meet all the empty places in our hearts. This really spoke to me - and I think reminding myself to turn to God will take a lot of pressure off my husband and make our marriage happier. Another thing I liked was in Chapter 12 "Panic or Prayer." It suggests to say a prayer to God, thinking of words that describe him using every letter of the alphabet. What a great challenge! I was furnished this book for free in exchange for my honest review. If you want to read this book yourself, the ISBN numbers are: ISBN-10 1-935265-43-1, ISBN-13 978-1-935265-43-6. You can find it at amazon.com on sale for $2.53! What a great price! You can also contact Heidi McLaughlin on her web page. "I ended up wanting to take my time and soak and savor the messages God was speaking to me through Mai’s writings." The Son in My Eyes is first and foremost a beautifully inspirational testimony of Mai Spencer’s life. I was captivated from the start by her recollections of her childhood growing up as a young Buddhist girl in Vietnam. My heart was spoken to and encouraged as the author wove the memories of her rather dramatic life into the pages of this book; stories of her poverty and struggle to provide for extended family, surviving Agent Orange exposure, the loss of children and more all unfold between its covers, yet even the tragedies can’t keep her from sharing peace, hope and the promises of God. I loved the way scripture is fluidly included. I started out with the intention of reading this book from cover to cover in just a day or two. Instead, I ended up wanting to take my time and soak and savor the messages God was speaking to me through Mai’s writings. This book brought a sort of reawakening to my heart of the passion I once had for missions. I would be happy to read more from this author as the book truly touched me. I believe this book is a good example of “Don’t judge a book by its cover.” Coming from someone who grew up reading fiction and humor, especially science fiction or westerns this would not have been the first book I pulled from the shelf due to its peaceful, quiet beauty. Even so, The Son in My Eyes did not disappoint. I recommend this book be added to your nightstand, or at least your wish list. I pray it touches your heart and leaves an impression just as it has my own. "The Son in My Eyes" is available through Amazon.com and Deep River Books. I received a complementary copy of this book to read for the review from Bring It On! Communications. All opinions are completely my own. "A story that sweeps you right up and keeps you turning the pages as fast as you can...Highly Recommended." Petroleum engineer Phil Channing has only been employed a week when he uncovers the largest oil reserve in history. Using the research of a recently murdered friend, Phil discovers the secret to drilling for it lies in lava tubes under the Dead Sea. But will this knowledge throw off the world’s balance of power? Sam Batterman grew up in the 1980′s with a pocketful of quarters to play video games in one hand and a stack of computer magazines in the other. 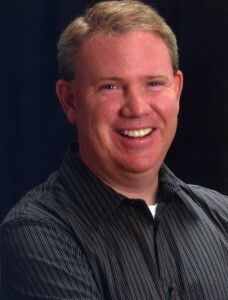 He holds a Computer Science degree from Bob Jones University and works as a Software Engineer in Southeastern Pennsylvania with his wonderful wife, Susan, and his two kids, Samantha and Parker. He teaches Computer Programming at a Christian school and enjoys seeing kids get excited about the technology he loves so much. Sam’s first novel, Wayback, has become the best seller for Deep River Books. Sam and his wife serve at Valley Forge Baptist Temple in Collegeville, PA.
Sam Batterman had me with the first chapter of his newest book, Maximal Reserve. The action starts with a life or death chase scene and really doesn’t let up until the end of the story. Phil Channing is a recent Masters graduate looking for the perfect job to combine his years of research with his goal to make a difference in the world. Joining the research team at Axcess Energy is a dream come true — a dream that quickly becomes a nightmare. Faced with killers determined to stop the research findings — the world’s largest petroleum source — from being made public, Phil and his fiancee, Lisa must be smarter and quicker than their assailants. The stakes are high — the economic balance of the world, and there are enough shady characters, corrupt politicians and professional assasins to make the most dedicated fan of action and suspense keep reading. I love a story that sweeps you right up and keeps you turning the pages as fast as you can. Maximal Reserve is that kind of story. I even liked all of the scientific theories that were put forth in the book as background. Now, I am definitely not a scientific person (I graduated from college without any math and only 2 semesters of science), but Sam Batterman made this part of the book fascinating and easily understood. So if you want a fast-paced suspense novel with enough questions to get you thinking about what our government, corporations, and scientists are really up to, pick up a copy of Maximal Reserve. "This book is a must-have for every family. Your child will have a better understanding of David and Goliath after reading this book." Smoothie Rock-A-Teller: On the Whopper Stopper is the first book in a series of nine where rocks retell biblical stories from their point of view. In this book the rock’s name is Smoothie and he retells the story of David and Goliath. My soon to be 4-year-old was immediately enamored with the beautiful, colorful illustration that were used throughout this book. The author of this book came up with really fun ways to refer to different characters in the book. For example people are referred to as talking-walk-abouts and fish are referred to as wiggle-movers. My daughter really liked that but sometimes I would have to remind her I was referring to people and fish. I think this book is a must have for every family. Your child will have a better understanding of David and Goliath after reading this book. I’m looking forward to reading the rest of the books in this series. The Rock-A-Teller Family know how to tell a good story. This book definitely gets my seal of approval. This book is rather long, 52 pages broken into 5 chapters. Each night I would read a chapter to my little girl and when we reached the end of each chapter we would go over the questions for review and say the little prayer as well. I really like this book, it’s throws a new twist on old Bible favorites. I plan to take this book and donate it to my daughter’s Christian school. I know a lot of children will really enjoy this book. "I was captivated by the way the author wove this mystery around Disney facts and trivia"
Who hasn't heard of Walt Disney, Disneyland, The Magic Kingdom or anything related to Disney in general? Some of us have grown up with Disney in some form or another for most of our lives and know what dreams can do for those of us willing to dare to live them. Farren Rales is one of the chief Imagineers working for the Magic Kingdom and when he calls Grayson Hawkes, a pastor of Celebration Community Church and asks him to meet him at the Gamble House. The Gamble House is a piece of property that is now part of the National Historical Society and is the inspiration come to life of Snow White's cottage from Disney's Snow White and the Seven Dwarfs. It's late at night for a secret meeting with Farren and Hawkes as they wander around the inside of the cottage learning about Disney's fascination for details within a story. He leaves Hawkes with a gift, an old key that he claims is the Key to the Kingdom. When he looks up to inquire more about what the key means, Farren has vanished into the dark of night. As Hawkes leaves the cottage, he learns that he is not the only one in the park at night. Running for his car, he barely manages to escape with his life. When Farren fails to show up for work, his secretary grows worried and returns Hawkes calls since he was the last person to see him. Not knowing what to do or where Farren is, he gets worried and believes that the clues to what is happening lie within the Magic Kingdom and what exactly that key will unlock. Now Hawkes finds himself in a Disney-like National Treasure scavenger hunt, unlocking riddles that lead him to more clues within the Animal Kingdom, The Disney Resort, and Epcot Center with a stuffed Pal Mickey that becomes activated with hidden sensors located throughout the park guiding him to the next clue. What he will ultimately discover is the Disney Magic may be more real than we have been led to believe and perhaps there is a whole lot more reality mixed in then we know. I received the mystery novel, The Key to the Kingdom by Jeff Dixon, compliments of Bring It On Communication for my honest review. Being a huge Disney fan since I was a child, my child-like wonder has never left and I was captivated by the way the author wove this mystery around Disney facts and trivia that most of us walk by in our day to day visits of the park and never give it a second thought. Do tunnels really exist below the park? Is Walt Disney really sealed in a cryogenic cylinder waiting for a cure for cancer? Is there really a Snow White Cottage in Port Orange, Florida and inspired Disney to create Disneyland? Who knows until you read this book and decide for yourself is this really fiction or perhaps a Disney magic way of covering up the secrets of the park! I give this book a 5 out of 5 stars and now it has a place of permanence in my personal library because the kid in me, still believes in magic! You can also find out more secrets on Facebook by clicking here.